Members of the Islamic Movement of Nigeria (IMM), otherwise known as Shiites, yesterday halted both human and vehicular movement at the British High Commission, Abuja, over the continuous detention of their leader, Sheikh Ibrahim El-Zakzaky. 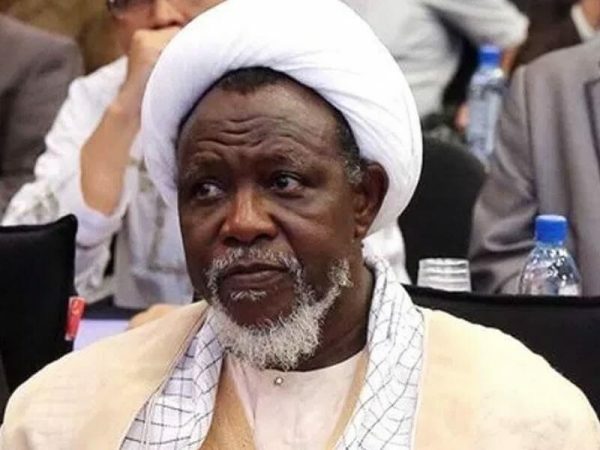 The Shiites accused the British Government of complicity over the detention of El-Zakzaky, which they said, had never issued any statement regarding their leader, but praising President Muhammadu Buhari. The protest, which started at about 11am, saw the British High Commission locking its front entrance, even as none of its officials addressed the protesters. The protesters eventually left the High Commission at past 12pm with a procession through the diplomatic zone within the Central Business District where embassies of the United States, the People’s Republic of China, Canada and Ghanaian High Commission are domiciled. Throughout the period of the protest, no vehicle entered the high commission, even as no staff was in sight except security agents, particularly the police. A member of IMN, Abdullahi Mohammed Musa, told Daily Sun that the protest was necessitated by the recent visit of former British Prime Minister, Mr Tony Blair, to the Kaduna State governor, Nasir El-Rufai. “On Friday, we saw Tony Blair having a secret meeting with Nasiru El-Rufai. What are they discussing? Is it because Sheik Zakzaky is exposing their secret and they have come to understand that Nigerian citizens are getting to understand the secret that they want to tell Nasiru El-Rufai to keep on keeping Sheikh Zakzaky in custody until they finish embezzling the resources?” Musa queried. Musa added that expatriates had been fetching out good mineral resources, particularly uranium in Zamfara which Sheikh El-Zakzaky earlier said. Meanwhile, the IMN has said the visit of former Prime Minister Tony Blair has proved the complicity of the United Kingdom in the Zaria massacre. The IMN further declared that they hold Blair and the United Kingdom as foremost among others responsible for all the atrocities committed against El-Zakzaky and the continued persecution of Shiites in Kaduna State.